The legs are one of the weakest points on a chair. They can become loose and even break off through use and wear. Persons scooting closer or away from the table or leaning back and balancing on the back legs put a high amount of stress on this delicate part of the carpentry. But despite the fragile nature of this component, chair legs can be fairly easily repaired using wood glue and screws. 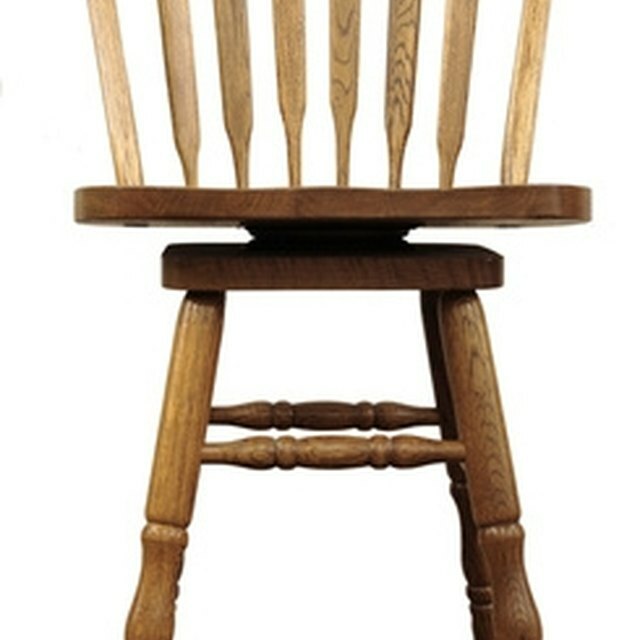 The legs of wooden chairs easily become loose or break off at the joints. Number each leg and the corner in which it fits for ease of reinstallation. Find and remove any nails or screws holding the legs in place. Use a dead blow hammer to remove any legs that are loose, but not completely broken off. Sand off any old glue residue. Reglue legs in the positions specified by the numbers placed in step one. Clamp to secure, and allow to dry for 24 hours. Remove clamps and screw legs to the frame through the existing holes. If no screws or nails originally fastened the legs in place, screw each leg to the frame.